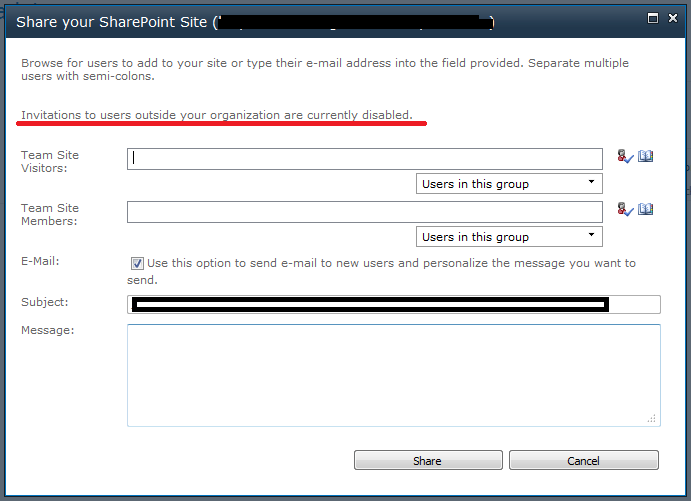 There comes a time in every site collections' life that you need to give external users access to your SharePoint 2010 Online site. Giving access to external users is easy. If you see Invitation to users outside your organization are currently disabled, do not worry, you are making good progress. You first need to allow external users access to your site collections and you do this by Allowing External Users from Manage site collections page on your Sharepoint 2010 Online portal. Note: You need to have appropriate rights to perform this operation. 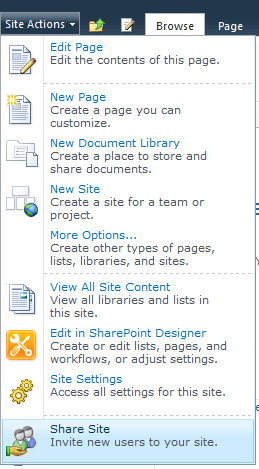 Once on Manage Site Collections page, click Manage External Users under Settings button on the ribbon. Remember not to select any site collection or Settings button will be disabled. On the Manage External Users pop out, select Allow and press Save button. Why are you in so much hurry? There is still one more configuration step that you need to perform. 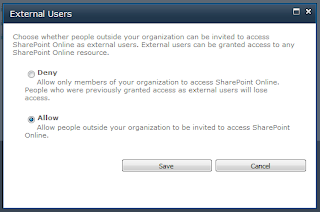 You need to enable External user invitations feature on your site collection. Oops, I forgot to tell you that to activate a feature you need to go to the Features page which can be accessed by clicking Site Action > Site Settings. 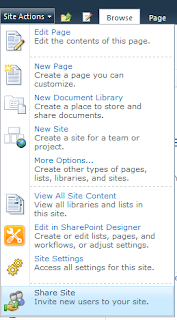 Look for Site collection features under Site Collection Administration and click it. Your external user email address needs to be a Microsoft Online Services ID or a Windows Live ID like @live, @hotmail, @msn. If your partner does not have above mentioned id, they can always associate their ids with above services to access your shared site. But how can they associate their ids to above services? I have already posted a question and to date waiting for a reply. Is is possible to invite external users Programmatically.